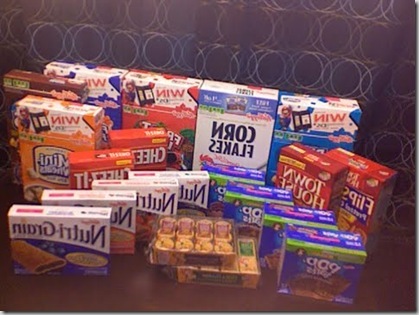 I made the trip to Albertsons. I did ok but could have done better. I bought the Kellogg’s/Keebler deal twice and the P&G deal twice. I did four separate transactions. The first was the Kellogg’s/Keebler deal. I bought 10 for $30, got $10 off and $10 Catalina. My total was $20. Then I bought the deal again and used the Catalina and my total was $10. 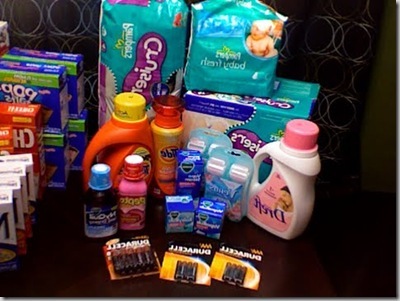 Then I bought P&G products, got $10 off instantly and used the $10 Catalina and my total as $29.39. My last transaction was P&G products as well and I got $10 off instantly and spent $52.43. Overall I spent $111.82 and saved $119.83. Some of the mistakes I made was that I didn’t go to shopping at a good time. Like I said earlier, the store is about 30 minutes away and I made the trip today since I had to go to the neighboring town so I was already halfway there. I took my kids (1 and 2.5) and it interfered with their nap times so they were fussy. The two yr old had to go to the bathroom twice and still peed in his pants, the 1 yr old peed thru her diaper, they dumped their snacks on the floor, they threw things out of the basket, they pulled signs off that were hung in the check out line, and somehow I cut myself because I had blood running down my leg. So it was brutal. 😀 . Needless to say, I was in a hurry to leave and I think the employees were anxious for us to leave as well. I should have taken something to write with to keep track of the prices. I was trying to make it to where I had 2 $40 P&G transactions but I lost track of how much I was spending and went way over. It was kind of confusing because I had some P&G coupon books I got in the Pampers diaper boxes a while back. But not everything I had a coupon for counted towards the $40, it was select items only. I tried to make a list of what I was going to get buy before I arrived but I didn’t know what qualified until I got there. I bought Cascade when it was not on sale and I didn’t have a coupon because I thought I hadn’t reached my $40 limit but I had. I bought 2 packs of diapers, a 64 ct and a 46 ct both for $18.99. I should have bought two 64 ct for $18.99. I bought Pampers wipes because I had a $2 coupon if you buy diapers and wipes but the wipes were $7.99 so I got them for $5.99. I could have gotten wipes at Walmart for $5.98, and $3.98 after using the $2 coupon. I thought the Pepto Bismol I picked up was 50 cents off but I was charged full price. One of my VapoRubs got put on the wrong transaction so I got charged full price for it because I didn’t give the cashier the coupon. I gave it to her on the next transaction and it beeped because I didn’t purchase a VapoRub on that transaction! The only other thing is that I didn’t have coupons for anything other than P&G products. 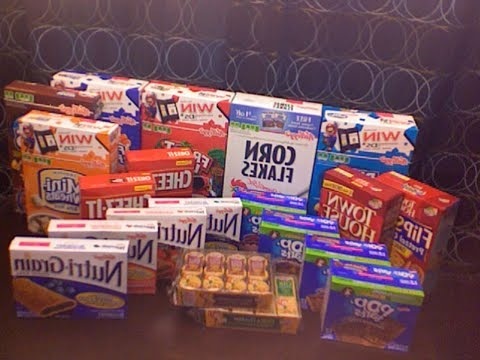 I just started couponing so I haven’t stocked up from the past. They did give me $10 off my purchase even though I didn’t now spend $10 over $40 in non P&G products. I have made some progress. I am finally matching coupons up with sales. But I still have a lot of improvement to make to maximize my savings. I love that I saved a ton of money but I also spent a lot as well. Thanks for all of you encouragement. Sarah, you did a great job! Considering the kids and all you’re a trooper – I love that the pics are backwards it kind of goes with the story! :-D If it were me, I might have just left the store and not done it! I would have been so flustered with the kids and all, but you did great!! Thanks for sharing with us, too! It’s such an encouragement to know that others go to the store and don’t walk in in their June Cleaver Dress and perfectly coupon their way out of the store! !